"The big news here isn't about the Chinese economy; it's about China's leaders. Forget everything you've heard about their brilliance and foresightedness. Judging by their current flailing, they have no clue what they're doing." This is the blunt verdict of Paul Krugman, the Nobel Prize winning economist, on China's stock market crash and the Chinese regime's attempts to contain it. A staggering $4 trillion has been wiped off share values since the middle of June, as the stock markets in Shanghai and Shenzhen have fallen by 30 percent. The attitude of many capitalist commentators was - as Krugman points out - that the dictatorship of China's misnamed 'Communist' party (CCP) were 'brilliant' economic managers who through clever use of state intervention and seemingly unlimited financial resources could always pull a rabbit out of the hat whenever economic problems demanded it. In the past few weeks this faith in the CCP has been shaken to its core. Especially as the stock market continues to disobey 'party orders', the CCP leaders are cast in the role of King Canute, who famously ordered the waves to turn back only to get splashed. The regime's failure, so far, to stop the stock market rout, despite spending a staggering $800 billion in the past month on buying shares and other rescue measures. This has also struck like a bomb blast for many people inside China, especially the more than 60 million small traders who have been coaxed into the stock market over the past year. "My father has lost 90 percent of his savings," says Yu, a member of the CWI in China (the sister organisation of the Socialist Party which is banned in China). "He and his workmates, who work in a car components factory, decided to buy shares in March this year," he says. "Everyone in China is discussing the stock market. The government controlled media encouraged ordinary people to invest in shares, predicting the stock market (Shanghai Composite Index: SCI) was heading for 10,000. My father and his workmates have suffered big losses and feel foolish for believing the government." In fact, the SCI surged to 5,200 points on 12 June, up from 2,000 in July 2014 (a rise of 150 percent). But now it's sunk back to 3,500 points. This was a state manipulated 'bull market' or financial boom, fuelled not just by a frenzied media campaign but also by debt. It was known as the 'state bull run' and even as 'Xi Jinping's bull market' - after China's president. The market crash is a calamity for the CCP dictatorship, leading to a series of policy zigzags and missteps that even its state media monopoly cannot fully hide. This also has political repercussions as the case of Yu's father illustrates. One reason why the government inflated a stock market bubble was to stimulate a 'wealth effect' among the urban middle classes and better-off sections of the working class, to tie these layers into supporting the dictatorship and also to boost consumer spending as the economy slows to its weakest growth rate in 25 years. The CCP regime has many reasons to fear these developments. It has kept itself in power through a combination of rapid economic growth and state repression. Arrests, censorship and hi-tech surveillance have all increased markedly since Xi Jinping took office in late 2012, alongside increasing nationalism and the projection of Xi as a 'strong man' on the global stage. Partly modelling himself on Russia's Vladimir Putin, Xi has moved to concentrate more power in his own hands. Not only over the military, police and party-state machine but also over economic policy, which is not usually in the president's ambit. This has been achieved by waging the most intense elite-level power struggle for decades under the guise of an anti-corruption purge. Xi, whose family are worth $376 million - which is three times the wealth of Britain's super-rich cabinet - is a representative of China's 'princelings'. These are the offspring of veteran CCP leaders who over the past two decades have acquired enormous wealth and power over key sectors of the economy. Xi's strategy is to fortify the CCP's dictatorial apparatus while implementing more neo-liberal capitalist policies to 'normalise' and entrench the economic power of the princelings. But his shift away from the 'collective dictatorship' model of the past can seriously backfire, with Xi being personally held responsible for every setback - as the current stock market crisis shows. Xi's policies are not a question of 'style' but are determined by a deepening crisis within the regime and a growing fear of revolutionary tremors. Strikes by workers - mostly to demand unpaid wages or compensation when factories close - have tripled in the past 12 months. 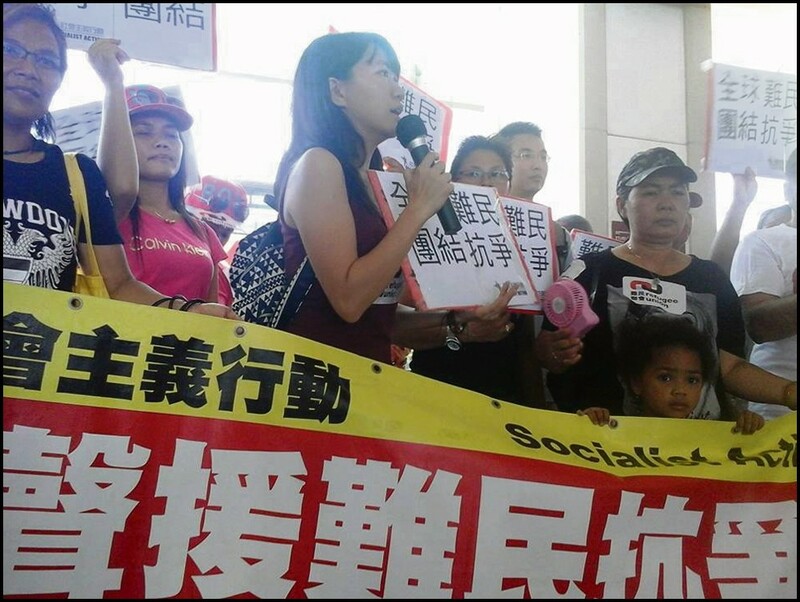 Especially in the southern manufacturing heartland of Guangdong, workers' struggles have become more organised and structured, and this has enabled some industrial battles to last longer or to resume when employers or authorities break their promises. The regime's fears were reinforced by the mass democracy movement in Hong Kong last year, the 'Umbrella Revolution', which at different stages involved 1.2 million people (almost one in six of the city's population). Similar mass protests engulfed Taiwan, which China claims as its territory, and Macau. Turmoil on the edges of Xi's realm is a foretaste of what can happen inside China in the next period.